Blaine, Marley, and Sebastian are back on screen together. TVLine reports Glee star Darren Criss will reunite with his former castmates on The CW’s upcoming Supergirl/The Flash crossover. Criss played Blaine Anderson alongside Supergirl‘s Melissa Benoist and The Flash‘s Grant Gustin on the FOX TV show, which ran for six seasons before ending in 2015. In the upcoming crossover, Criss will play Big Bad Music Meister, a DC villain who can hypnotize people when he sings. The two-part Supergirl/The Flash crossover premieres on The CW on March 20th at 8 p.m. ET/PT and continues on March 21st at the same time. A veteran of the musical theatre, John Barrowman has confirmed that he will also be part of the episode and recently received the music. He plays bad guy Malcolm Merlyn on Arrow and has also appeared on The Flash and DC’s Legends of Tomorrow. What do you think? 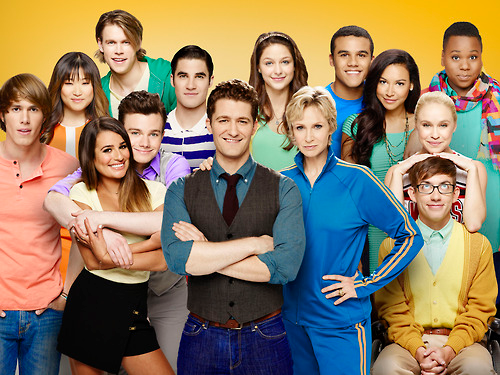 Are you a fan of Glee? Do you watch Supergirl and/or The Flash? More about: DC's Legends of Tomorrow, DC's Legends of Tomorrow: canceled or renewed?, FOX TV shows: canceled or renewed?, Glee, Glee: canceled or renewed?, Supergirl, Supergirl: canceled or renewed?, The CW TV shows: canceled or renewed?, The Flash (2014), The Flash (2014): canceled or renewed?